Celebrating "Changing lives one smile at a time" for 22 years in Campbell River, British Columbia! Your smile should reveal happiness, health and confidence. If you find that you’ve been hiding your smile lately, it may be time to talk to a smile makeover expert. Cosmetic dentist Dr. Chris Roper works wonders in Campbell River on Vancouver Island, for guests who just want to smile with confidence. With state-of-the-art smile design, Dr. Roper and his skilled team deliver high quality, natural tooth restorations that are virtually indistinguishable from untouched enamel. Dramatically improve your smile with safe Cosmetic dentistry procedures like Whitening, Porcelain veneers, Bonding , Gum recontouring, and Porcelain crowns . If you suffer from headaches or head and neck pain, or if you have worn and broken teeth, it can be a sign of a destructive bite. Using Neuromuscular Dentistry can restore your teeth back to their normal function and create a beautiful smile. Finding a comfortable bite position can eliminate the pain and discomfort that many patients experience. If you or your partner suffers from snoring or sleep apnea, Dr. Roper can dramatically improve your quality of life. Click the following link to take the sleep quiz and find out if the appliance is right for you! The Suad Appliance. We also offer sedation dentistry to make your appointment more comfortable. 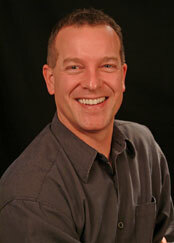 Cosmetic dentist Dr. Roper is trained at the prestigious Las Vegas Institute for Advanced Dental Studies (LVI). Exceptional care is what separates his practice from other local practices. At Roper Aesthetic Dentistry, guest comfort guides every visit, and each treatment is carried out with the utmost precision and care. Read more about Roper Aesthetic Dentistry and our philosophy of care. View our Smile Gallery and read our Testimonials to find out more about our smile enhancement, or E-Mail Roper Aesthetic Dentistry in Campbell River to begin your personalized smile makeover.